Maina Foundation is established in loving memory of Smt. 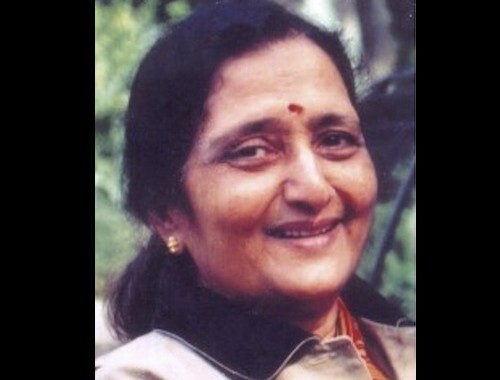 Shailaja Pandit, who passed away on May 17, 2006. Shailaja, also called Maina, was the wife of Mr. Shankar Pandit, currently residing in New York, USA. She was born on June 21, 1930 in Bhishi, a small village of Maharashtra, India. She and her husband have two children Alka and Vikram residing in USA. Shailaja was a very loving, caring and luminous person who always gave of herself to her family and friends. Her desire to help others has been the inspiration to start this foundation to provide the necessary help to women from all walks of life. Your generous donation helped us in installing a Mammogram machine in Koparkhairane, a suburb in the developing city of Navi Mumbai, India. Since its installation in March 2009, we are glad to inform you that it has started providing requisite service to the underprivileged women in Navi Mumbai. Thanks to you it is the first such machine set up in Koparkhairane and also the first mammogram machine donated by Maina Foundation. Lions Service center Navi Mumbai has so kindly consented to look after the day to day operations. This has been possible only because of your kind donations. Our major achievement of the year 2009 was the first step of a long journey. Similar machines were donated to Matru Seva Sangh in Nagpur, an 81 year old organization in the center of India, and at Kalapurnam General Hospital, Khichan (Phalodi) Rajasthan in January, 2012. These organizations serve the needy women of those areas and with your kind support we were able to install mammogram machines in these hospitals. We look forward to your continous contributions to this philanthropic cause. Early detection of cancer saves a life contributing to the health and happiness of the patient and the family. Let us help save a life by providing a fundamental need in several areas lacking detection facilities.